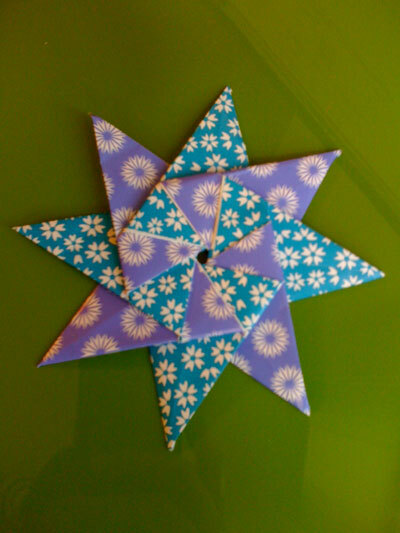 Our readers have followed our instructions and folded the origami modular 8-pointed star. 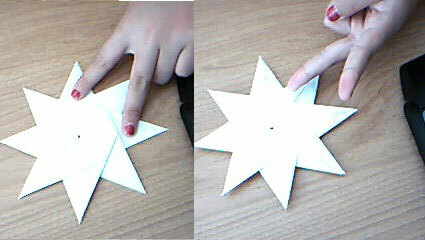 Here are their photos! 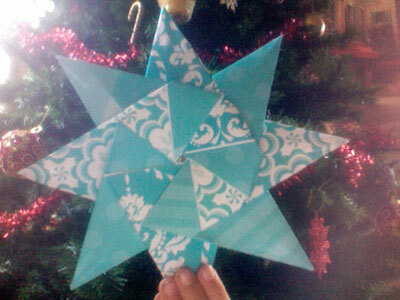 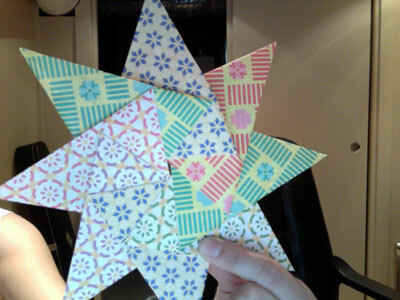 From reader in Vancouver " My First modular star. 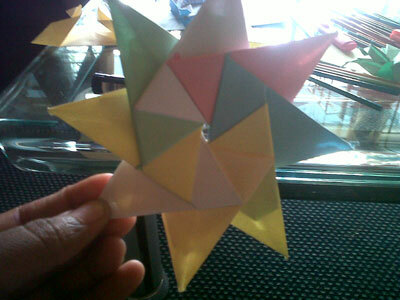 Nice? " 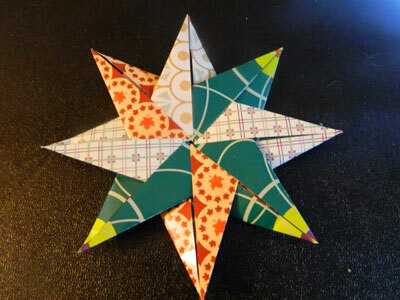 From Jojo in Pittsburgh " Modular Eight-point Star "
From reader in Dover " This was pretty fun to do :D "
From Friedel in Harare " I'm in Zimbabwe (southern africa) and this is my My Origami 8modular unit star! 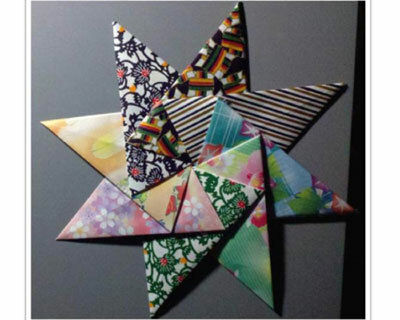 :)"
From Kristin in Greenville " my 8 point stars "
From reader in Medina "Modular 8 Pointed Star "
From reader in Orange County " Origami modular eight pointed star. 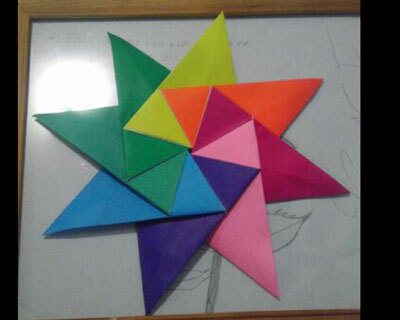 It was hard to connect! "